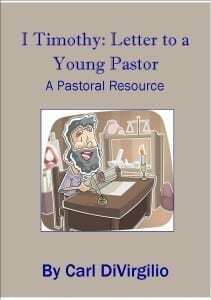 I Timothy: Letter to a Young Pastor is a verse by verse study of the Epistle of I Timothy. Designed as a ministerial reference tool, this manual was taught as a course for pastors at seminars in Guatemala in 2012. It’s simple language makes it a valuable resource for laymen as well. It is also available in Spanish. Everyone has a story to tell!!! Don’t be afraid to get your thoughts down on paper. It can always (and should be) edited after the fact. My wife loves to offer her services in that area. Carl is an ordained minister and missionary of 25 years. His previous works include a discipleship course based on The Beatitudes and his thesis at the Faculté Protestante in Brussels, Belgium on Gustavo Gutierrez. The material was written while doing a tour of seminars for pastors in rural Guatemala. Seeing the need for pastoral helps, I wrote a manual on the epistle of I Timothy, teaching and distributing it at conferences, My wife and I contacted our financial supporters about helping us make it available in remote areas and for missionary use.